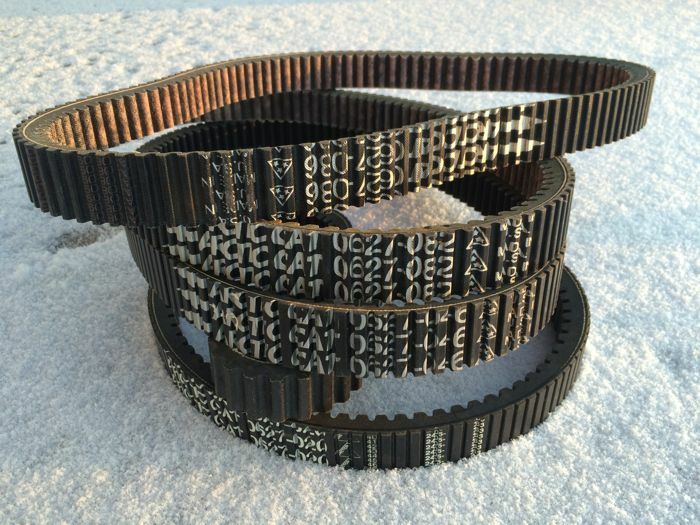 Wondering what the differences are between various Arctic Cat snowmobile belts? You're in luck. 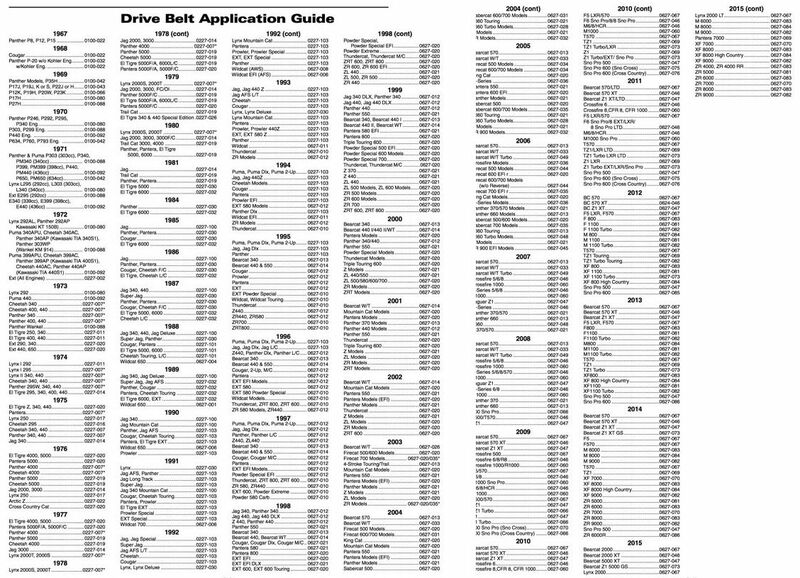 CLICK HERE for a 2-page printable pdf of the 1967-2015 Arctic Cat snowmobile belt application chart. CLICK HERE for a 1-page printable pdf of Arctic Cat snowmobile belt dimension chart. Then enjoy the appreciation your wife or significant other will feel when these charts grace your living room wall. Thanks John for sharing these. 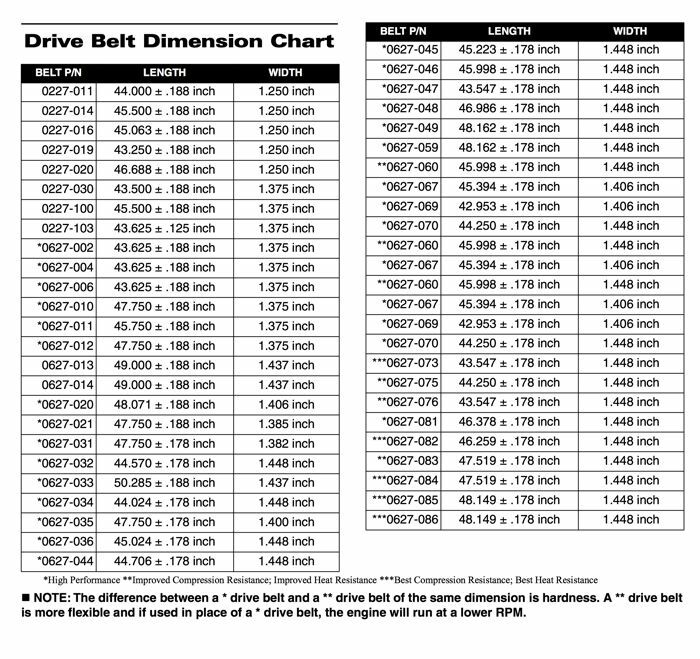 Looking at the note on the bottom of the Drive Belt Dimension Chart would the same be true when comparing a *** to a ** belt of the same dimension? Knowing this is it safe to say the 0627-084 is a softer belt than the 0627-083? And thanks for all the great information you provide!! I am looking for info on what belt to use on a 1979 arctic cat Sno pro? Looking for a belt part #0627-086 is arctic cat number does dayco or gates make one it is for a 2015 snopro 600 r sx thanks.